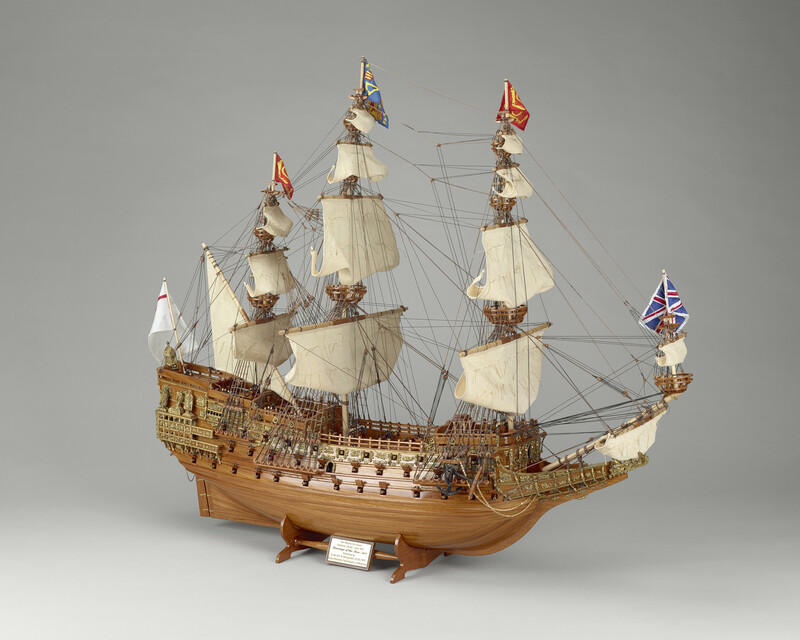 A wooden and yellow metal model of the galleon HMS Sovereign of the Seas, a warship of the Royal Navy commissioned by Charles I in 1634 and launched in 1637. The ship was referred to by the Dutch as the 'Golden Devil' for her heavy armament and superb gold ornamentation. She was ordered as a 90-gun first-rate ship of the line but at launch was armed with 102 bronze guns at the insistence of King Charles I. The ship was launched on 13 October 1637 and served from 1638 until 1697.